What does the term “dealflow” mean? How do you find great startups? Where are your main sources for dealflow and what is the percentage from each? Where do you tend to find the most startups in which you eventually make an investment? If we think of dealflow like a sales funnel… what are the major steps in your process to arrive at a yes/no? How do you accelerate this evaluation process in order to optimize your time and spend it on the right startups? When it comes to focus… do you believe startup investors should restrict the dealflow that they evaluate based on their domain expertise, vertical/market, geography, etc.? From a strategic standpoint, why is dealflow volume so important? Dealflow Sources & Time-to-close Blog article: How early should you connect to a VC? Here’s some data. It’s often about dis-qualifiers often moreso than it’s about qualifiers. Much of the time there is clear criteria that isn’t met which makes it inappropriate for Charlie, as a venture investment. This doesn’t mean the startup is not going to be a successful business but maybe it doesn’t make sense as a venture investment. Maybe the market isn’t big enough. Maybe the skill set required is a very difficult thing to do or the founders don’t have the appropriate skill set. Maybe the target buyer does not have a role with which to make rational decisions based on the value that the startup is selling. Maybe the type of product has particular friction with the type of buyer… like in his example of selling tech to a local pizza joint. And finally, is the plan appropriate for the resources available. Here’s where he brought up the example of building an elevator to the moon. Clearly the talent, partnerships, regulatory and money required may be far greater than what an existing team has or can achieve with a fundraise. Remember that the under-ask (ie. asking for too little money to reach the proposed milestone) is very common in the early stage startup world. Determine a clear set of hurdles or criteria that’s pretty basic and easy to get from the startup upfront. This way, you can quickly filter out dealflow early, and not waste your time taking meetings with startups you will never fund. If you have a website or e-mail address where many startups connect with you, create a simple form with your key inputs. For example let’s say you only invest in companies that are Business to Business, software, enterprise sale, in the financial technology sector… w/ revenue generation and founders that previously worked in this space. It would be very easy to setup a list of these factors and ask any startup that contacts you to fill it out and send it back. Upon quick review, you could easily eliminate a great number of startups and tell them exactly why. You can also potentially get some intangible feedback based on their response format and response time. Did they fill out the form correctly? Did they send the form back to you in a timely manner or did it take them a week? Any of this data is great to get upfront b/c it can accelerate your NOs and help you focus your time on the strong candidates. Charlie mentioned how if he were a time traveler, what day would he have had to be present for to get that deal. And he estimated 18-24 months, when we spoke. After our interview, Charlie went back and looked at all his dealflow data and published an article about it on his blog, which I will include in the show notes and strongly urge you to give it a read. Article: How early should you connect to a VC? Here’s some data. It turns out, it took an average of 821 days from first connect, or about 26 months, and 162 days from pitch, or about 5 months. His initial estimates were pretty close to the actuals. the process of gathering other investors for a round. For this exercise, Charlie went back across the 21 investments he’e made both at First Round and at Brooklyn Bridge Ventures, which dates back to January 28, 2010, when he closed on Backupify. He looked at when he first met the company, when it closed, and what connection he made to be in a position to get the deal in the first place. For example, while he closed on the seed investment in Tinybop on November 19, 2012, he met Raul two years earlier at the first Brooklyn Beta in 2010, even before he was working on the company. Upon tracing the specific sources of dealflow, his results were interesting. While every investor’s dealflow source info is going to be different, it’s great that Charlie is so transparent and can give the rest of us insight into where these startup intros often come from. Below is the "Tip of the Week" transcript from the Podcast Episode 6: Deal-flow... How do investors find startups? (feat. Charlie O'Donnell) Consider the difference between users and buyers... I frequently see during the Q&A evaluation of a startup that one of these two groups is completley ignored... and it's often the buyer. Naturally, we all see a product, we consider it's use and think about the key benefit to the end-user. However, this fails to acknowlege a key component of success... the purchase process. In each of these situations, the purchasers and users are different and their motivations are different as well. If we think about the medical device, the hospital may care about cost and data collection... while doctors, care about ease-of-use and efficacy. A wife purchasing deodorant may care about price and branding, while her husband likeliness to use depends on the smell and length of protection. For the CRM example, a CEO and head of sales may care about measuring leads, conversions and sales effectiveness while the sales people using the program consider the usability, time spent recording activities instead of selling and the platforms accurate reflection of sales effectiveness. Nick: Today we are fortunate to have Charlie O’Donnell. 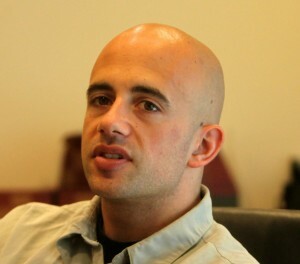 He is sole partner at Brooklyn Bridge Ventures and also has a blog at thisisgoingtobebig.com. Charlie, welcome to the podcast and thanks so much for taking the time to join us. Charlie: No problem at all. I appreciate the ask, and I’m happy to do it. N: So I wanted to kick things off by hearing about your pre-Brooklyn Bridge Ventures story. Where did your journey into venture investing begin? C: I started out at the institutional limited partner Side Effects. I was working at the General Motors venture fund, which is one of the largest institutional investors in venture capital. They’ve been doing it since the late 70s, and they are partners in most of the big names you know of—the Battery and Accel and all those types of folks—and are very long-term investors, and I was working as an analyst on their team. I was on the venture team and was taking pitches from funds who were raising. In 2004, one of the other folks at GM came in and said, “I’m looking at the New York-based $100 million fund; will you take a look at it with me?” and I almost passed on that meeting. The idea of doing a New York-based venture capital fund in 2004 sounded terrifically stupid, because most of what we were doing was Silicon Valley and Boston, and New York didn’t seem like the kind of place where you’d want to build a business. I’m glad I got roped into that meeting, because that turned out to be Fred Wilson and Brad Burner from Union Square Ventures, and that’s how I met them. I started building a relationship with Fred through our respective blogs, and even though it turned out that fund was a little small for GM, I built a good enough relationship with them to become their first analyst. They wound up hiring me as soon as they raised their first fund, and I worked there for almost 2 years. N: So for folks in the audience that don’t know Fred Wilson or Union Square, I encourage you to check out their blogs or follow them on Twitter. They’re excellent content producers and visionaries on the venture investment side. C: And they’re nice people, too. N: Yeah. I haven’t been fortunate enough to speak with Fred yet, but hopefully we’ll get him on the podcast. C: Yeah, and from there, it was really fortuitous timing to be in New York, because I was at fund in New York in 2005 when it was the beginning of this New York resurgence. I feel like a lot of the success of my career is due to being in the right place at the right time at this fund in New York, where I didn’t even want to take a meeting, and has now become this venture capital community. Being early to the community and getting to know the players then was very lucky. A few years later, I got asked by Josh Kopelman of First Round Capital to help them build out their New York presence after I had worked on a startup, and that’s how I would up joining First Round. Getting to work with Union Square and First Round and now my own fund—I joke that I got to work with the best three funds in New York. N: Including Brooklyn Bridge Ventures, right? N: Awesome. So let’s talk a little later about the New York scene, and for now let’s jump into the topic. The topic today is deal flow; can you just give us an intro to what this term means? C: It’s most basically the opportunity to make investments. And the opportunity is just in-progress transactions. In the public stock markets, everybody has the opportunity to make a transaction; you just look at the list of publicly traded companies and pick any one of those. They don’t have to approve you, and there’s full disclosure and no question as to who trades on NASDAQ and whatnot. In venture capital, there’s uneven access to deal flow. If there are tow people next to me in the warehouse I work in in Brooklyn building a startup, I know about them and you don’t. There’s no list. There’s more transparency with things like AngelList, but a lot of the companies that put themselves on there do that after they’ve raised their initial round. At the seed level, that’s incomplete. So there’s the function of awareness and knowing the deal exists, and how you even get into the deal. If there’s a great team with a great idea and great traction, you can’t just cold-email them and say, “Oh, I heard this was a good deal; I’d like to come in.” They’re only raising 750 grand or $1 million, and they don’t know you from a hole in the wall. There’s no window for you to get into that deal, so the two aspects of deal flow are awareness and approval or ability. N: Got it. So on the first point, awareness, how do you find great startups, and how do you access these deals before others find them? N: If you reflect on the deal flow you’ve gotten, what are the main sources they’ve come from, both in volume and in quality? C: Well, the underpinnings of a lot of my deal flow is probably my media footprint, and that could be everything from the fact that I’ve been blogging for the last 10+ years and have one of the 10 most widely-read VC blogs and I also run a weekly list of check events and commentary in the New York market that goes out to about 8,500 people that I’ve been building up over the last four-and-a-half years, and when 8,500 people get an email from you Monday morning at 7:45 like clockwork and all they have to do is hit Reply to pitch you that’s a real advantage, and I speak at a tech event probably every other week and I throw a lot of events, so I throw developer events and I do group dinners where we all split the cost and we go neighborhood by neighborhood, so we do Green Point and the Upper East Side and Brooklyn, and we even did a Hoboken one out in Jersey, so the sheer number of touchpoints that I’m having, whether it’s just an email or a dinner or somebody in the audience, I’m making a lot of people aware of what I do and that I even exist, and so regardless of whether or not I get an intro from somebody to a deal, 99.9% of the time that person at least is peripherally aware of me and that I do venture, and has a positive opinion—they ask for an intro from a lawyer, but they say, “Yeah, the reason I asked for that intro was because I really liked you post about startup valuation,” or something like that. N: Got it. Well, if that’s not a testament to getting involved and getting plugged in, I don’t know what is. Hopefully we can all have an 8,500-person newsletter like you at some point. C: Yeah, I always tell people to start with a big newsletter. But I also went back and looked at the deals I’ve made and said, “Okay, if I were a time traveler, what day would I need to be there to make that deal?” and it’s often way before the pitch. It’s an intro to a person or something, and if I trace it back, it’s often 18-24 months in advance. N: Wow. So you need to get way in front of some of these things to be involved and to capitalize. C: Absolutely. Sometimes you meet people before they have a company, and then when they do have a company, you’re naturally the first person they’re going to talk to. N: Okay, well if we think of deal flow as a funnel, you’re getting all these startups and you’re valuating them and you’re kicking some out. What are the major steps in your process to arrive at a yes or no investment, and how do you accelerate that process? C: Well, right outside my office, there’s a bed of hot coals and they have to run through that, because startups are really hard. Aside from that, I sometimes think not of the things you have going for you, but the obvious downfalls, and 90 or 95% of the deals are immediately unworkable just on that basis. That has a set of criteria. So most of the deals are quick passage because the market’s just not big enough and there’s not enough money for you. Maybe you can build a profitable business, but it just doesn’t fit with my investment plan. Sometimes it’s not the right person to be doing that. And in some business areas, you have to be able to build a local community. If you haven’t done local sales, there’s no way I could even think of backing you. But for some businesses, I might do a pre-product company, so you have to look at whether the founder has the right skills in that area. The third big hurdle is deciding whether their plan is appropriate to the resources they’re using. It may be a very good idea to build an elevator to the moon, but if you’re only raising 25k to do it, there are all kinds of problems there. N: Yeah, I’ve seen the under-ask many times. C: Yeah, and if you’re under-asking, it looks like you’re not savvy and you don’t appreciate how difficult this thing will be. It’s like you’re signaling, “I don’t think this thing will be successful, so I’m only asking for 100k.” If you don’t think you’ll be successful, you probably won’t be. N: Right. So let’s say they get through those hurdles. How do you accelerate the good ones for the process? N: Yeah. More than trying to find the bright shiny things, I’m trying to find the red flag and kick them out of the funnel and focus my time on the good one, and it sounds like you do that as well. C: Yeah. What my portfolio ends up looking like is not 25 or 30 companies that could work; I like to eliminate all the risks except the risk that startups are just really hard. If I can get there, I take a shot on it. N: Yeah. So I want to get into this focus question: do you believe that startup investors should restrict the deal flow that they evaluate based on their demand expertise or a vertical market or geography, etc? C: That’s a good question. I ran into a founder at a conference who told me that he didn’t like my criteria for only investing in New York, and with the 25 seconds that he’d spent thinking about it versus the 10+ years that I’ve been in venture, he told me that my strategy was a bad strategy. I said, “Look, since I’m in New York, probably 75% of the deal flow I get are New York-based investments. If I opened up past New York and advertised that I was doing that, I could probably get 20% more deals. Now, how many more companies would pitch me? Probably several. So that’s not worth it to me in terms of time, because that’s 3 times as many companies pitching for 20% more deals.” I can’t make that work in terms of a time investment, so I think you have to carve out some limitation in terms of deal flow at the early stage. In a later stage you can vet that with a lower-level person. If you’re a growth-stage investor who requires revenue, you can throw an entry-level analyst on that to vet the deals and the market. You have to limit yourself somehow, whether it’s geography or sector. There is such thing as too much deal flow. N: Yeah. To that point, do you believe in the philosophy that you must see a certain number of companies for every one that you invest in? C: I don’t know if there’s a magic number, but you certainly need to figure out why doing a certain percentage of the deals in a certain sector should be a good bet. If I were only focused on e-commerce in New York, which I’m not, I would have to say, “Well, how many e-commerce companies are there in New York, and do I have the ability to see enough of them to build a 20 or 30-company portfolio in X number of years?” Is there enough success where I’m fishing to pick the winners? There’s going to be an error rate, and if there are only 10 companies that fit into my criteria I’ve got to take 20% of them, then I’d better have a strategy that will make me a partner of choice for those deals. There are only 10, and I’ve got to do 20% of them; that’s incredibly difficult. If you look at funds like [inaudible], they’ve limited the number of co-investors that they will work with. They went to their limited partners and said, “You want access to deal flow from the following funds, and we’re going to become a co-investor of choice for those funds.” They have a list of funds they work with, so they get a lot less deal flow, because if you’re not already working with someone on that list, there’s no need to pitch them directly. They’ve found a strategy that works for them. What they end up spending a lot of time on is working with other VCs, and they’ll say, “Hey, when you see a media deal, you should send it to us, and we’ll respond within 48 hours.” To me, that’s a good enough reason to send them that deal if I’m on the list. N: Yeah, I’m always fascinated by some of these other approaches. Hopefully we can dive into that on another podcast and figure out the motivations and the strategy there. Do you have any recommended resources or anything on the topic of deal flow that you would suggest to the audience? C: I think it’s all about firsthand research. If you’re starting investing and you came up with your criteria, do some back-testing. This is a public-market phenomenon. You come up with your strategy and go back 5 or 10 years and say, “If I had this strategy, what would have happened?” And you look at your investments and say, “If I had these criteria of doing early-stage hardware deals, then I definitely would have looked at Canary,” and I would go to those founders. Ask them about their fundraising process, and figure out where you could have gotten those deals. Oh, they pitched at the hardware meetup. Great. So that’s on the list of people I should talk to, or maybe there’s a conference a large number of deals come out of. I haven’t seen anyone write about the process of raising money, but it’s researchable if you go company to company, or even just send them an email asking about their process. I think that would be really instructive. N: That message has certainly come through; I’m getting inspired to be more reflective of my own processes. I think I’m like a lot of us—always forward-looking and on to the next thing, not always assessing where I found deals and how I could have been involved earlier on. C: The other thing is reaching out to a company and saying, “What could I have done to get involved?” Whenever I pass on a deal and then it goes on to have a huge exit, I reach out to the entrepreneur and say, “Good job; I was wrong.” I remember one I reached out to maybe 2 years before they raised, and I forwarded the turndown message to them and said, “Hey, good job for getting there, guys.” And they said, “Wow, I can’t believe you remember. When we met, we weren’t ready to pitch. We didn’t have our story together, and we would have turned us down too.” So tat’s another criterion—not just who’s successful now, but knowing what I knew then, could I have pulled the trigger? That’s an entirely different question. It’s incredibly difficult at the time to make some of those judgments. N: Well, switching gears, Charlie, why don’t you tell us more about what you’re currently up to at Brooklyn Bridge Ventures. C: Well, I have 14 deals in what will be about a 32-deal portfolio; if you come back to me in 2 months I might be up to 20. It’s been an interesting year; I’ve only done 1 real deal, but all of a sudden I have 6 that look like they might close. That helps deal flow; you can’t worry that you don’t like enough things, because all of a sudden you turn around and say, “Oh no, I like this one too; I have too many deals in the pipeline.” It’s an $8.3 million fund on a 3-year investment cycle. What that means is I started investing in the fourth quarter of 2012, and I’ll likely be back to market at the end of next year. Of course, this isn’t any kind of general solicitation for a fund or investment vehicle. I’m in a good position to put the money to work, and so far, so good. I do early-stage deals in and around New York, and the criterion is really that if you have yet to raise $750,000 in a previous deal, you’re good to pitch. There’s no real definition of early-stage, seed, angel, whatever. I’ve had meetings where people will say, “We only did friends and family,” and I’ll say, “How much did you raise?” and they’ll say “$2.5 million,” and I’ll say, “Wow, I wish I had friends and family like that.” So I’ve just picked a number and said, “If you’ve raised $750,000, you should be past taking $250,000 checks from me. You should be at a Series A stage.” It’s an arbitrary line in the sand, but it’s one you can stick to. It’s been going well. Not every company in the portfolio is performing, but there have been a few Series As, and the portfolio as a whole is worth a lot. There are a few standouts, and the way the math works, most of your returns are coming from a small number of companies. So companies like Tiny Bob’s and Canary have the potential to be fund-returning companies. And then there are companies that are ready to move into a Series A and have good traction, so if I can get a few companies like that for every 14 I do, I’ll be very happy. N: Sounds like a lot of opportunity in New York and attractive deal flow. Good to hear, and good to connect with some folks out in New York. If we could cover any topic here on the podcast, what topic do you think it should be and who would you like to hear speak about it? C: I’m most interested in ways people can cut through the noise. There’s a lot of stuff written and said about venture. There’s a variety of experience—you’ll see 3 startups who participated in 1 round of fundraising in their entire lives, so they’re not experts but they’re willing to get on a panel. There are people who will walk out of a meeting and say, “Well, they turned me down, and they didn’t really have a reason,” when the truth is they just didn’t have a very good personality. There’s an aspect for founders and new potential investors of figuring out who actually knows what they’re talking about, and in the end it’s interesting to hear how people in the media do it, like someone from TechCrunch or Kara Swisher. I saw Kara Swisher once, and you’d better have 20 questions to fill 50 minutes, because she’s so direct. She’s great, but she’ll give you Twitter-sized answers and then be on to the next thing because she’s so direct. N: Wow. For someone who’s new to startup investing, what advice would you give? C: This is going to sound incredibly self-serving, but start with a fund. If you want to make direct investments into the company, you’re welcome to do that, but I would do fund investing either before that or in conjunction, and I would make it a small enough fund that they’re actually going to pick up the phone when you call. You want to see firsthand someone going through this process, and it’s very hard to really understand it based on just what people say or what you hear. You want to get the real story. If it’s a small enough fund that there are opportunities for co-investing, it really helps you on deal flow, and you can get a whole bunch of deals. You don’t have to do the work of seeing the 2000 deals a year that I see, you can just shuffle through the 30 that I put in front of my LPs and take the 5 you really like. It also forces you to put some money to work because you have to write a check, so you automatically get the diversification. You can lose all your money as an angel, but I’m only aware of one fund in my 10+ years as a n investor that did not return a dollar. If I’m investing in 30+ companies, if I’m really bad at this you’re probably at least going to get 50 cents on the dollar back. N: So you give your LPs discretion on which placements they make with which startups? C: No, sorry. I make a bet from the fund, and then in addition to that, if they want to invest it’s up to the entrepreneur to take them. But, for example, Canary, the home security system that set a record on Indiegogo and then raised a $10 million round—I did a phone call with my LPs, and anybody who was a fund investor had an opportunity to get into that deal. What was nice about that was that you could write a $25,000 check as an add-on to my check. The founders were more than willing to get a vetted stream of LPs, and the LPs got to see some interesting deal flow. I offer something a little like the AngelList syndicate, but I don’t charge anything for that. I like to help my LPS and let them do their own work. N: Good. Well, you know, every time I talk with folks out in New York, they mention you. It’s been a pleasure having you on the podcast; thanks so much for the time and for the insights here. So what’s the best way for listeners to connect with you or follow you? C: I’d say it’s nice when people follow along, because then if they attempt to connect they at least have a sense of who I am and what I’m up to. If you’re reading my blog and my Twitter and you don’t realize I’m kind a direct and upfront guy, you shouldn’t take it as a surprise when I respond with an email. Following is kind of a prerequisite; at least get familiar with me so you know I’m the person you want to be talking to. At the end of the day, as broken as it is, it’s still the best thing: Charlie@brooklynbridge.vc, and if you don’t hear from me and a week has gone by, you’re always welcome to re-forward to me. I try to get to thing right away, but like that great post someone wrote about how to email busy people, it’s not that I don’t want to hear from you, it’s just that I give away money for a living, and a lot of people wind up in my inbox. N: Right. There’s no lack of people pursuing you for the money, that’s for sure. N: Well, good. Shoot him an email if you want to reach out to Charlie, or you could follow him on Twitter at @ceonyc. He gives great flavor of the startup scene as well as some good context on Brooklyn and New York City. Head over to his blog too; it’s thisisgoingtobebig.com. Charlie, again, thanks. Hope to have you back again soon. C: Cool. Thanks for the opportunity.